With my athletes I have two busy and very successful weekends of racing behind. It is just great to see how the effort they put into the training is rewarded. 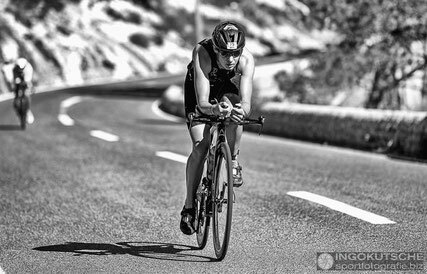 Jenny Schulz was racing Ironman 70.3 Alcudia. After months of hard training in the pool we were really looking forward to that race. Jenny finished the swim just 4mins behind Lisa Norden which is a really huge milestone for her. Unfortunately Jenny didn’t have the legs on the bike she was hoping for and jumped of the bike in 9th position. While her strength is the run, we were very confident that she is going to make up some places. Jenny had a fabulous run of 1:24 and that put her in 5th position over all. Next time the bike leg will be going fine as well and the podium is close. 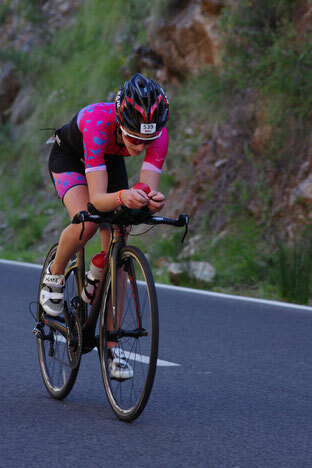 Jennifer Wood from the UK raced IM 70.3 Mallorca as well. Jen was struggling with foot injuries over the last weeks and we built her up carefully for this race. Lucky that it worked very well and Jen had a really good race after all the obstacles she had to go through. She finishes the race as 7th lady in her Age Group. 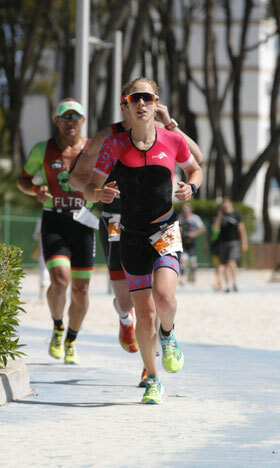 Sabrina Stadelmann, my mathematic genius from Zurich, was racing 70.3 Alcudia as well. She didn’t only surprise herself but her coach as well. She was very strong in all three disciplines and didn’t show any weaknesses. Sabrina proved that she is on a good path to be a professional triathlete in the near future. Her swim time was similar to Jenny’s one, the bike was solid and would have been competitive in the professional field as well. The final half marathon was a 1:28h which served her an overall 8th place! With this time she not only won her age group and had the fastest swim and bike split of all Age Group ladies. That’s the way to go. 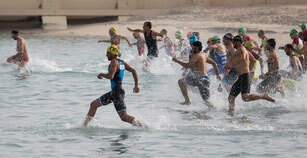 Ebrahim Alromaihi raced the Dukhan Sprint Triathlon in Qatart. It is really great to see his big improvements. He had his best swim ever and it was his first time leaving the water in second place. While Ebrahim pushed hard on the bike he hold his 2nd position till the start of the run where unfortunately three other athletes were passing him. But at the end Ebrahim became 5th over all with a big smile in his face. 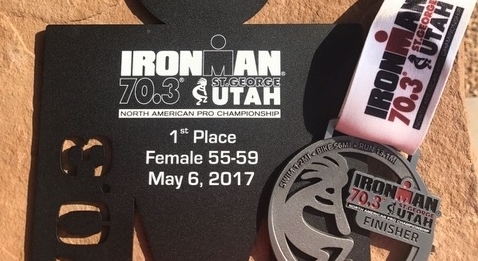 Carmen Grosse, the orthopaedic surgeon from Zurich, was racing the North American Championship Ironman 70.3 St. George last weekend. 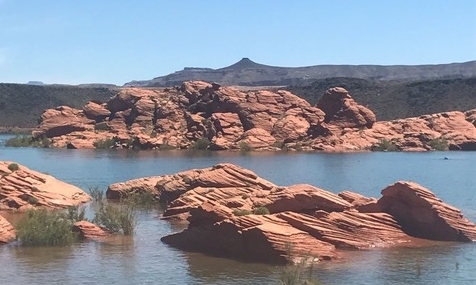 While she was still filled with enjoyment caused by her incredible performance at Ironman South Africa, she went to Utah without any expectations. But Carmen wouldn’t be Carmen if she is not giving her best. Again she proved that she is a fantastic athlete. After the swim she had a comfortable lead of 11mins to her strongest competitors in her age group! The other ladies were pushing very hard on the bike and making up their deficit. But Carmen ran the 2nd fastest half marathon and won her very competitive Age Group to her own surprise. Over all she became first non-american (European) North American Champion. 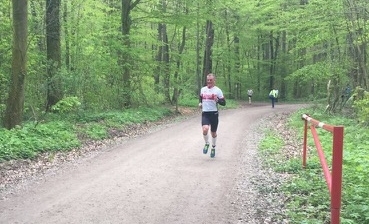 Steffen Warias, the Gourmet chef from Merseburg, was running the 12,5km Finnelauf which is one of the most beautiful runs in the North of Thuringia - Germany’s Green Heart. 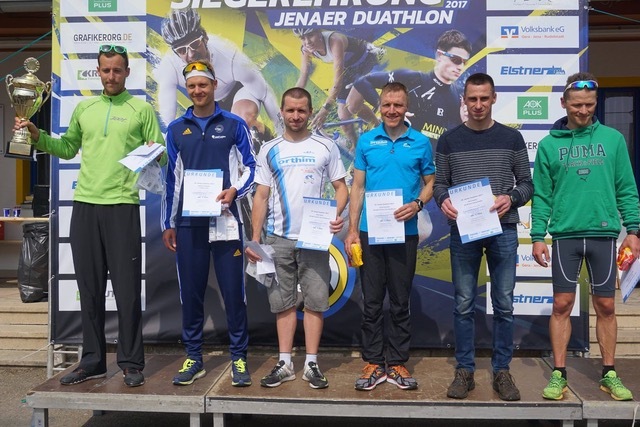 Steffen said that it was one of the most challenging runs he has ever done, especially for „an old“ man as he likes to call himself just after turning 50 one day before the race. But even the „Youngsters“ were having trouble to follow Steffen while he was flying through the forest. Peter Seidel raced another thuringian race: Duathlon Jena. The course is flat and you are cycling on a motorway which makes it really fast. At the end it was a very tight race. Peter was only 20sec behind the winner. With this gap and a 3rd place we see that Peter's performance is improving from race to race.